from blank pages...: Illusion, a Paper Piecing Pattern! I blogged about my new pattern last week, Illusion. Well, I'm happy to say that it is complete and tested and in my Craftsy shop and Etsy! Wahoo! I am so excited for this pattern. And I am more excited, and grateful, for wonderful kind reviews of the pattern. I had a few volunteers and would love to share their beautiful creations with you! Isn't it stunning??!! I love the colors and fabrics she used. So bright and cheery! "The instructions were very clear and easy to understand. I've never done paper piecing before and it came so easily. The pattern is great for anyone who would like to try it even beginners like myself. I think you did an excellent job designing this pattern." Thank you so much Martha!! She's planning on turning this into a beautiful quilt! I love what she did with the pattern! I think it looks amazing! "My thoughts on the pattern: I loved it. I thought the instructions were very clear, I did use your tutorial on your blog which was excellent for me, I need lots of pictures to do something the first time. I really liked the coloring page, especially for this pattern where there's so many different ways you can manipulate it. It might be cool to include some of those variations and possibilities in the finished pattern so people can see it's possibilities? "For my first ever paper piecing pattern I thought it was great. Really I didn't run into any problems, and none that weren't addressed in the instructions like shortening the stitch length (which I did forget to do a couple times, lol). I think beginners would love it because it isn't very complicated, but more advanced stitchers (I always feel like sew-ers is the wrong term...haha) would also enjoy it for the many different design possibilities of the pattern." There you go all you "I'm afraid to paper piece" people! YOU CAN DO IT!!! lol. ;) If you try out my pattern I would LOVE to see it! Leave a comment with a link to your blog, or share it in the from blank pages... flickr group. Also, for some extra tips and how-to's you can use this tutorial I put together here. And Terri of Sew Fantastic. She is simply amazing as well! or should I say Fantastic! I love all the things she makes! 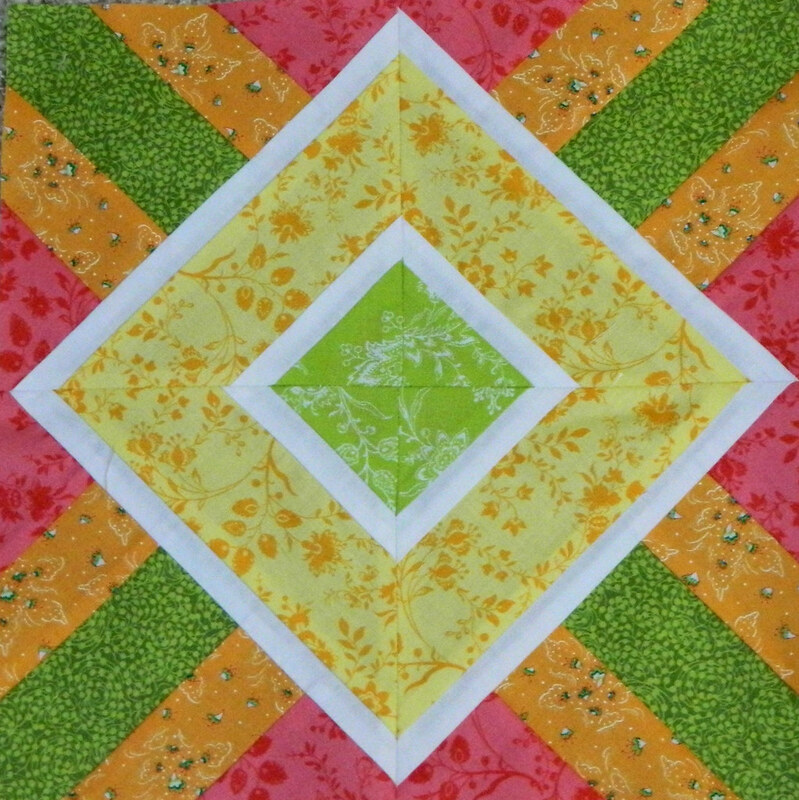 She's another one that I've been following since the beginning of my quilting days. You can find the pattern on Craftsy or Etsy. Yay!!! So exciting, I am so honored to have tested your pattern!! Lovely, and congratulations on getting it completed!! I think everyone will love using it!! Congratulations Diane on completing the pattern. I had so much fun testing it and learning paper piecing from you. I feel so lucky I was able to test your pattern.